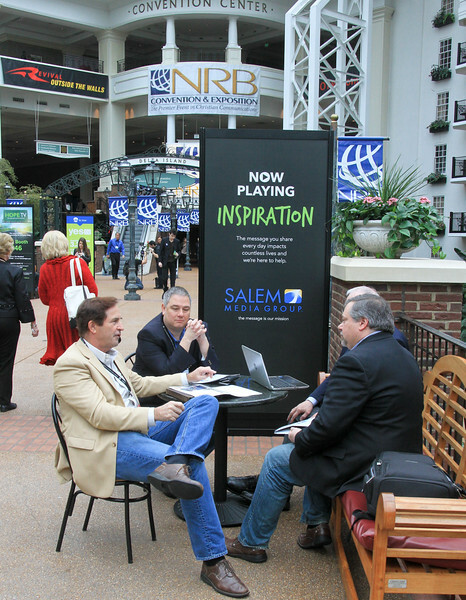 Whether you’re just curious or actively pursuing your sponsorship, promotional, and/or advertising opportunities during Proclaim 19, the NRB International Christian Media Convention, consider these options to find those that best suit your needs: Sponsorship, Print & E-Advertising, Banners, Meter Boards, and other Specialty Promotions. The Proclaim Convention represents the world’s largest gathering of Christian communicators. Proclaim 19 sponsorships offers your organization premier marketing opportunities to thousands of media and ministry professionals who will attend Proclaim 19 in Anaheim, California. Whether your organization opts for the fully comprehensive top-level Diamond-through-Bronze Convention Sponsorship packages, Premier Convention Sponsorship package, Industry Summits, or a Super Session Sponsorship, all are highly visible marketing opportunities that include Convention Session Events, the Thursday Worship Service, intercollegiate events and competitions, and meal functions. Sponsorship packages include free exhibit booth space, complimentary registrations, acknowledgement in the official Proclaim 19 Program Book, and much more. The Convention’s Sponsorship Program positions your marketing message in front of Radio & TV Station Owners, Broadcast CEOs, Church Media Professionals, Film Producers, Web Developers, Social Media Managers, Radio & TV Program Producers, Church Leaders, Video Producers, Public Policy Advocates, Pastors, Advertising Executives, College Educators, and many others. Student Sponsorships even allow for face-to-face connections with tomorrow’s broadcasters and filmmakers. Convention Sponsorships offer your organization an unsurpassed opportunity to showcase the advantages of your products and services to participants at this premier event in Christian communications. Contact Jim Buckley or call 203-502-8283 for additional information. Convention Specialty Promotions position your marketing message in front of Radio & TV Station Owners, Broadcast CEOs, Church Media Professionals, Film Producers, Web Developers, Social Media Managers, Radio & TV Program Producers, Church Leaders, Video Producers, Public Policy Advocates, Pastors, Advertising Executives, College Educators, and many others. As a ministry, broadcaster, agency, or corporation, these promotional items can significantly heighten on-site attendee awareness of your booth location or Hospitality Lounge, enhance brand recognition, showcase your products and services, draw potential employees and interns to your organization, and communicate to attendees why they should do business with you and how to locate you for networking options. They include everything from Official Convention Program Book print advertising to your exclusive programming, 24/7, on an In-Room Hotel TV Channel; from Display Banners to Sponsor Bag Inserts; from Meter Board advertising to Convention Badge Neck Cords. All these and more are available to aid you in increasing your visibility and projecting your vital message to attendees during Proclaim 19. Email Jim Buckley or call 203-502-8283 for additional information. Place your message in spaces located in high traffic areas in the main Convention Center. 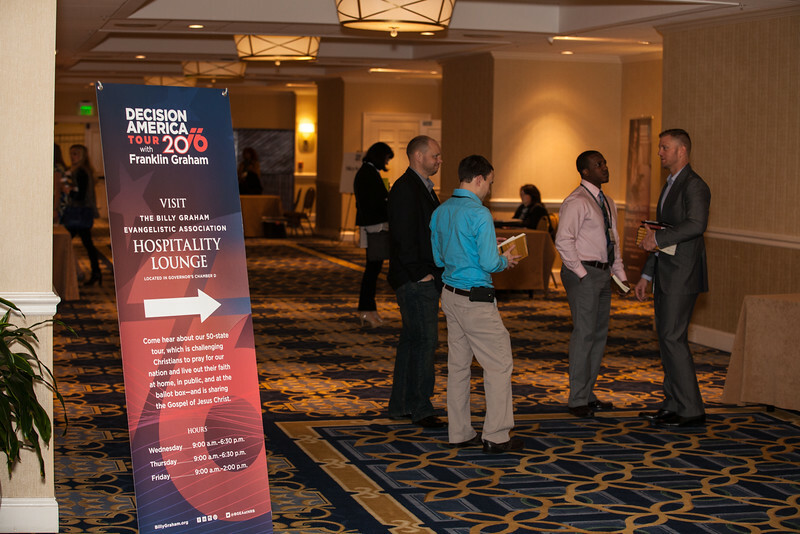 Locations are also available inside and outside the Proclaim 19 Exhibit Hall, as well as other great high-visibility locations. Sizes and prices vary. High visibility and multiple impressions throughout the Convention are just two reasons to place your ad graphics and message on both sides of a 4′ x 8′ meter board. 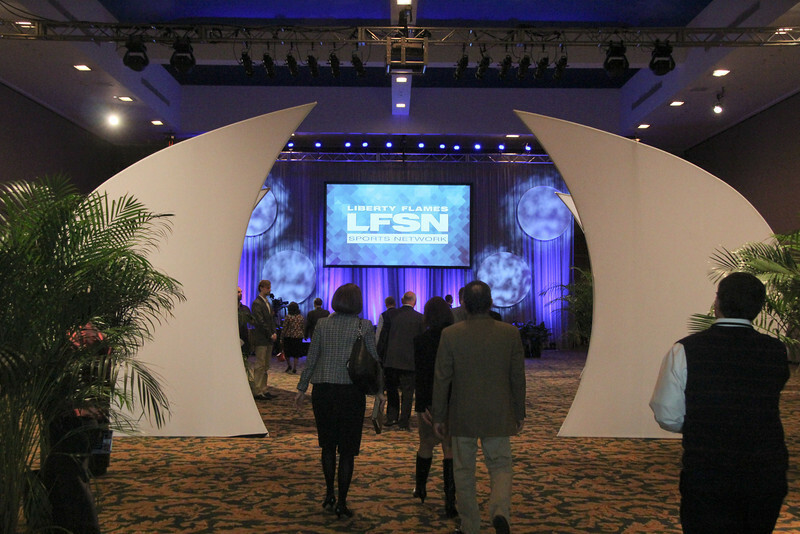 Located strategically throughout high-traffic areas, this is a unique way to reach all attendees with your important message. Reach tens of thousands of readers with your convention message by advertising in the NRB Today e-newsletter, or the Official NRB Convention Program Book. This award-winning weekly e-newsletter is targeted to principals within our member organizations and made available to all who visit our association website at nrb.org. It is an excellent way to get a quick response from readers, who simply click your ad to visit your website. This is the official guide to Proclaim 19, the NRB International Christian Media Convention, and provides a complete overview of all sessions along with a list of valued exhibitors. Full-page, four-color ads may be placed on the Inside Front Cover, Inside Back Cover and Back Cover. Full-page, four-color ads are also available for placement throughout the interior pages of the Program Book. Each advertiser will receive multiple impressions throughout the convention as attendees use the book over and over again!